He finally has some clothing. As soon as my wrist mends I’ll finish his coat. But isn’t he the cutest thing? Since this photo was taken he has been given some hair and had some (rotten and crooked) teeth sewn on. You’ll see all that along with his new coat. This entry was posted in Uncategorized on January 17, 2016 by DianaTwiss. Learn brioche knitting. It looks amazing and fun – especially when used with a solid and a variegated yarn. But I haven’t a clue how to do it. Couldn’t even fake it if I needed to. So that one is at the top of my list. Learn double knitting. I’ve been inspired by Lucy Neatby for a long time, especially her use of colour and the amazing patterns she creates using double knitting. I have a bit of an understanding about how to do it, but haven’t ever done more than read about it. Now’s the time. Learn how to ply on the fly. I’ve seen many examples of spindles full of yarn that was “plied on the fly.” Part of me feels like it is just a party trick as opposed to a good way to make yarn. But I can’t really judge the quality of the yarn on the basis of my imagination. So I’ll just have to learn how to do it and to sample the results. Master short rows. I mean really. I know how to do them, in the sense that I follow the instructions in the pattern to the letter. But I’ve been told that there are many ways to do the “wrap and turn” piece. I only ever do the one that the pattern tells me to do. Several years ago I completed the Level One of the TKGA Masters program for Hand Knitting. A major portion of the study was learning about increases and decreases. Of course we all know how to do them, but there are so many different ways to increase and decrease. Each one giving a different result. Sometimes a knitting pattern will say to “decrease” at the end of the row. But when you have a larger repetiore, you have greater control of the look that your fabric will get. Plant some cotton. A few years ago I did plant some cotton. I had five plants. 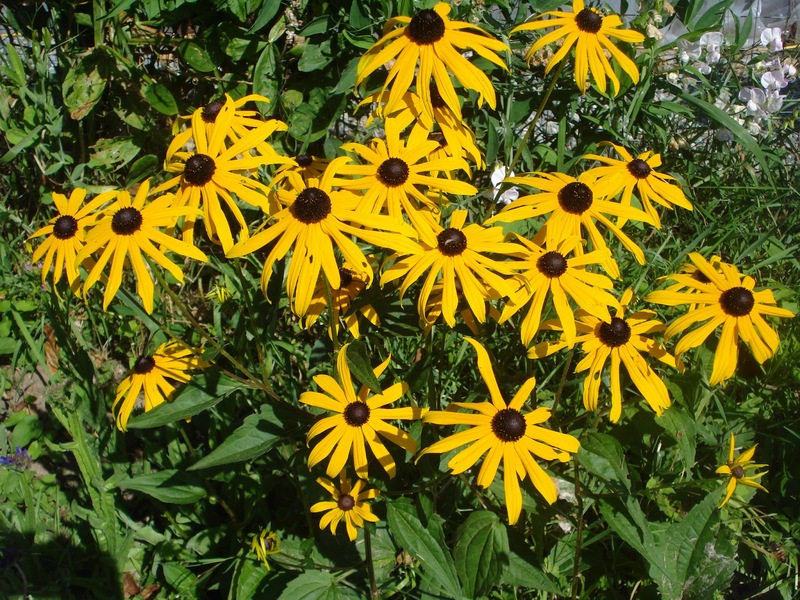 They came up nicely and even flowered. But I planted them too late in the season and by the time they flowered, the September rains came and they never turned into bolls of cotton. Last summer was stunningly hot and dry, perfect weather for cotton. Weather predictions say we are going to have a similarly hot and dry summer, so I’m all for trying it again, but starting much earlier in the season. So I have to find and buy some seeds. And finally, learn WordPress! Last year I changed my blogging platform from Blogspot to WordPress and haven’t really mastered it. As a result, I don’t post very often because it feels like work. But if I do it more often, or more regularly, like once a week, I could actually learn it, and retain what I’ve learned. During my Christmas holidays I over did it. I knit and spun to my heart’s content. 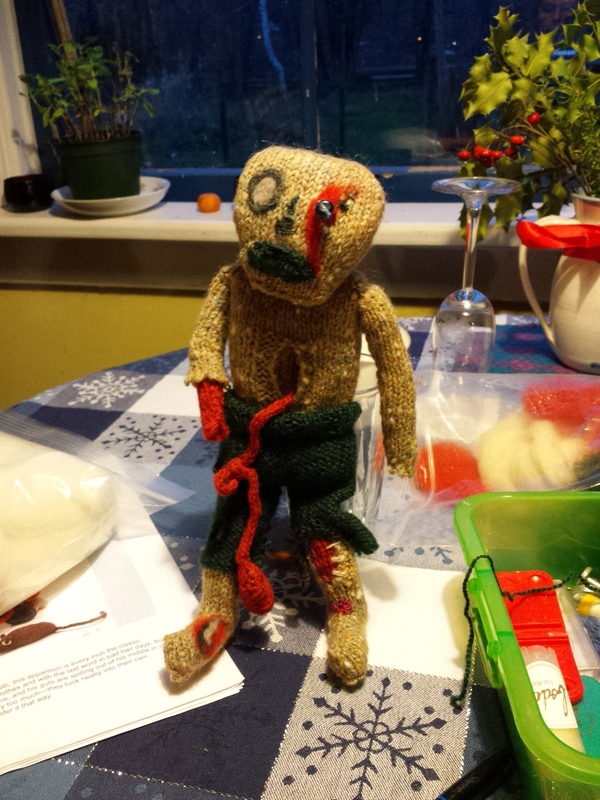 From the beginning of December until Christmas day I knit seven pairs of half-mitts, a pair of women’s sized socks, a cable head band, spindle spun about 100g of various coloured fibre for my zombie project, and knit items for him. Because of that I’ve developed tendinitis in my right wrist. To mend, I’ve been icing my wrist, taking ibuprofen, and NOT knitting or spindle spinning. It’s been hard – I didn’t realize what a fibre addict I am. “Hello, my name is Diana and I am a fibre addict.” So some of these fibre goals will be entirely web based research until the swelling goes down. *I reserve the right to alter, modify, add to or delete any of these goals at any time.